But every now and then you see a goal that appeals to your basest football instinct. A ball hit so hard and true that you make a noise in a room all on your own. The sound is usually an “ooh” or something in the “oooof” genre, but it’s that primal urge that someone’s just struck a ball so cleanly an angel’s earned his wings. And so to Paul Pogba. Goals are not necessarily an indicator of talent, and certainly many an average footballer has hit a screamer from distance, but have you see the state of Paul Pogba’s first goal against Udinese in January? Better still, did you then see him back it up with his second in the same game? Or the goal against Siena in February? Or the lovely volley against Napoli? Anyone can score a 25-yarder but to prove you can do it repeatedly? Well that’s quite a different thing altogether. His year hasn’t all been about scoring a series of willy-fizzing goals, but that’s undeniably been a part of a quite spectacular 12 months. He has forced his way in the starting midfield for one of the most exciting teams in Europe, stepped up into the full international team (and scored his first goal for France against Belarus), won the Supercoppa and the Scudetto, and become instrumental in Juve’s excellent start to this season. Yes he can hit a ball goalwards at a speed that would make Usain Bolt blush, but he can also find the pass others can’t. You can see a bit of Paul ‘Radar’ Scholes in his range, particularly around the penalty area where’s he’s got the little scoop perfected. Over distance he’s just as good, a little prone to trying to hit the spectacular when the simple may have been a better option, but that will come with experience. He’s also a ferocious tackler, his height and frame make him an imposing site anyway but there’s a timing there that perhaps the aforementioned Mr Scholes lacked. His aggression sometimes boils over and he has red cards for both club and country to back this up, but without really stooping to cliché it is part of his game that needs to managed and not lost. He’s a rock in front of the back four, a menace in midfield and a huge danger in attack. To put it another way, we’re a little bit in love. More of the same. Please football Gods, you owe us for the whole ‘Sepp Blatter-still-being-a-thing’ thing, now you pay us back and let Paul Pogba fulfill his potential. It’s worth commenting on the Manchester United situation. To give a young player and his agent that much power in negotiations at such an early stage of his career would have been mad. It’s breeding problems for the future and setting a template that could have backfired hideously. As a rule you have to say Man United did the right thing in sticking to the contract they were comfortable offering and refusing to be held to ransom. However, for every rule there’s an exception. Paul Pogba may just have been the one it was worth going against all their better instincts for. He looks every inch the £40m world-class midfielder Old Trafford is sorely missing, more so than a doomed wild goose chase for a Fabregas, and certainly better right now than a far more experienced Tom Cleverly. Pogba has earned his shirt at Juve, his caps with France and a seat at football’s top table, Old Trafford is but a distant memory now and regret will surely lie only at one side. The fact Fergie wrote the situation off with an allegation Juve had tapped him up tells you all you need to know (he should write a book to get rid of all that anger). 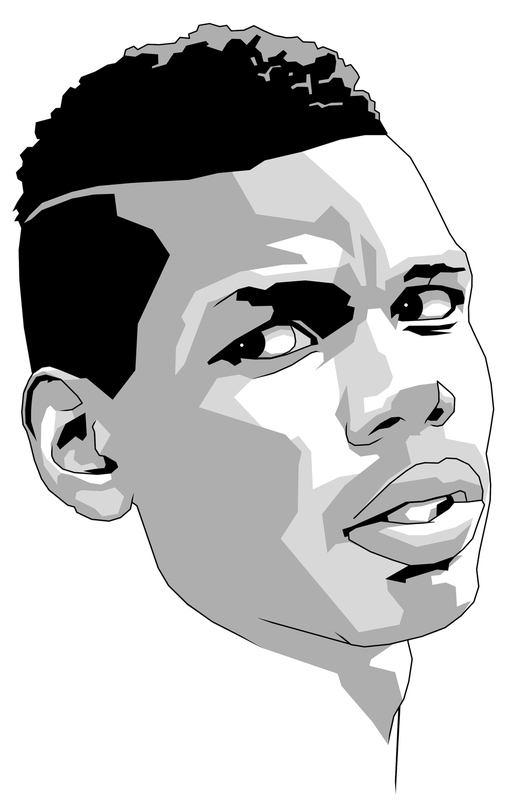 Pogba, right now, is sensational. We urge you to do only one thing from here, and that’s pull up a chair and watch. He’s at a club that suits and already found a consistency that most on this list would kill for. Perhaps the highest compliment we can pay him is that at least one of the IBWM team has got so lost in a Pogba Juventus performance that he completely forgot team-mate Andrea ‘Hipster’s Choice’ Pirlo was beside him. Think of a superlative and double it, this is the real deal.